I have long awaited this film. When the movie opened in 2013, it was showing nowhere near where I lived except in a small art-house theater, which I didn’t realize until after it had already closed. My wonderful husband bought it for me for Christmas, however, and I am only now getting around to watching it. 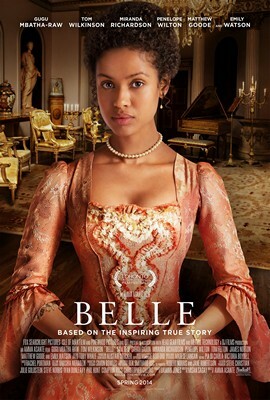 Belle is inspired by the 1779 painting of a young mixed-race woman seated with her cousin, identified as the Lady Elizabeth Murray. It is brilliantly cast, sumptuously costumed, and emotionally charged. Dido Elizabeth Belle Lindsay was born of a nobleman and a slave of whom little is known. The story this film tells is that of Dido as she and her cousin begin the fraught journey into society and marriage and finding their place in the world. For Dido, it is compounded by her uncle/adoptive father’s soon-coming decision in the case of the Zong massacre, which, as passionate young lawyer-to-be Mr. Davinier asserts, could pave the way for a very change in law regarding slavery and its abolition. Something that struck me deeply was a scene at an early segment of the film, after Dido has learned of a public (and highly publicized) case before the Supreme Court in which the captain of a ship, the Zong, is trying to gain payment from his insurers for a cargo of slaves whom he threw overboard. Dido sits before her toilette table, looking at herself in the mirrors, crying, she begins to rub and scratch at her skin as if she might rub away her mocha color. As a black woman myself, I have never found myself to be in a position of crying over my skin. I admit, as a child, I wished for fair skin and blonde hair, to be considered beautiful by boys, yes, but also in general, outside of the familial good opinion of my parents. But I have never felt so disregarded, so disdained for naught more than my coloring that I have ever actually wept over being who I am. To picture myself in such a position seems beyond the realm of even my imagination. For the record, though, that particular instance is the only memory I have of feeling that particular inferiority. Dido’s reaction strikes me as nothing short of realistic, however, having grown up with her family to whom her color meant nothing personally but who, when faced with the society of which they were a part, were still bound by the classist and racist mores and rules that kept her a veritable secret and then an object of amusement and scorn. Dido faces a gauntlet on many sides, venom, fascination, and sideshow curiosity layered beneath social politesse, but no less obvious to all who witness it. She states at one point to Mr. Davinier that she is struck by the thought that she is free twice over – free from slavery and free from poverty, having inherited her father’s fortune upon his death. She is a woman of independent means and, therefore, most would say, given the freedom to marry where she pleases. Even so, Dido struggles to find the freedom to just be – to be herself and all that means without apology and to accept herself without shame. And so Dido searches and fights and argues for justice as her father prepares to render his decision in the Zong case. I was pleased with the fire that Gugu Mbatha-Raw brought to the character of Dido, a young woman raised with all the knowledge, propriety, and breeding of her rank and determined to live the life she deserved regardless of how others might regard her for the color of her skin. The cast is all talent as she is joined by Tom Wilkinson, Miranda Richardson, Penelope Wilton, Sam Reid, Matthew Goode, Tom Felton, and Emily Watson. This film is an enjoyable period piece with strong undertones of social consciousness and justice and stood as an excellent precursor to the next film on my docket: 12 Years a Slave. 3/12/2015 – I have read several of Neil’s short stories before and really enjoyed them. My husband is an avid fan of some of his novels. So, when I spied this new collection at the bookstore, I immediately grabbed it up as a gift to myself after a long week. I am always intrigued by Gaiman’s writing and, moreover, of his thought processes as a writer and the introduction alone to this collection of stories is a thing of beauty. Many of the most profound stories I have read have encited some of the most intense emotional reactions in me – anger at injustice, tears, worry, fear, joy, etc. – and many of them, I have read time and time again. 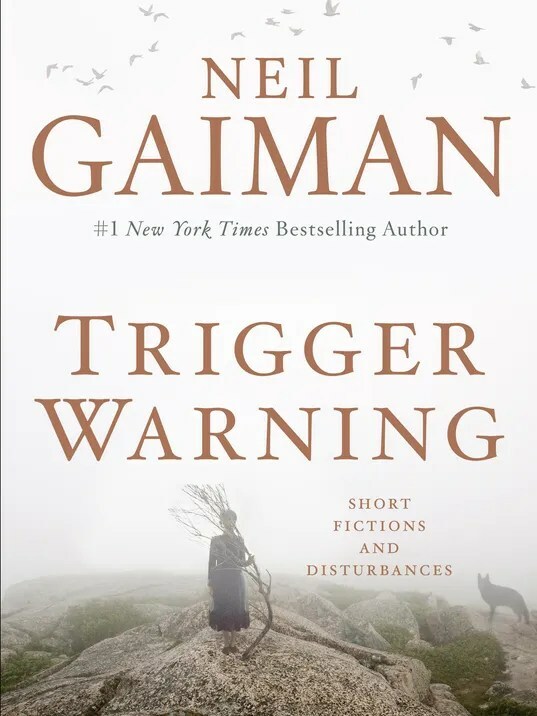 I chose to skip Gaiman’s words about the individual stories that he has included in this collection; I shall come back to them after I have read the tales. For the next two years, it became tradition for me to treat my friends to the midnight showing of each subsequent chapter of the Lord of the Rings as a Christmas gift, before we all parted ways for the holidays. I cannot tell you the fun of those nights, going out to dinner with my friends and then getting to the theatre early to garner good seats together. Then, each time, I would lose myself in Middle Earth, travelling on this harrowing adventure with Hobbit, Elf, Wizard, and Man. In the thirteen years since seeing FOTR, I have devoured the books as well as The Silmarillion, The Books of Lost Tales, and written a collection of my own Tolkien tales. I learned a great deal from an excellent professor who is also a great lover of Tolkien. I learned to speak Sindarin Elvish (memorization and transliteration until it rolled off my tongue, sang in Rohirric, and had two papers published. When I saw that Peter Jackson as extending his movie magic to The Hobbit, I rejoiced. An Unexpected Journey was the first movie I watched with my newborn daughter and, now, my husband and I seized the opportunity (and the kindness of his parents) to close out the Red Book together. At the end, as Billy Boyd sang “The Last Goodbye” and Alan Lee’s beautiful drawings scrolled over the screen, I sat and sobbed. My husband was, admittedly, a little incredulous, but I begged him to let me have my moment for tears. I grieved for the characters lost, for the pain endured, but I also wept for the ending of an era, for the closing not only of the Red Book but for that chapter of my life. There is now a banking of that fiery passion that burned so hotly for those years, a calm moving on (like Bilbo’s returning to Bag End and carrying on his life). The memories attached to Middle Earth, though, its world, people, and stories, will never fade but, I believe, will only shine brighter as the days and years go by. I cannot thank enough those who fostered this love in me, encouraged it, and rejoiced in the fruit it produced. Thank you, all of you, for all that you have done and given to me – from the writer himself, to the family that carries on his legacy, to the director determined to bring these stories to life, the writers who tenderly took Tolkien’s work in hand, and the actors who gave the characters breath and soul. To these last, I will never look at any of you ever again but that I will also see the characters who have become so beloved to me, see the emotion shimmering in your eyes and trembling on your lips, and feel the strength of your hearts. Thank you! It was the closing of the Red Book, the ending of an era, and the tearful goodbye of a grateful heart that feels like a Hobbit, writes like an Elf, is fallible like Man, hopeful as a Wizard, and staunch as a Dwarf. You have my love and my eternal thanks. Hannon le. Amin mela le. 6-20-14 – Finally and at long last! Ever since reading Pierce’s Melting Stones several years ago, I have hungered for more of Evumeimei Dingzai’s story. I really should have read Stone Magic, as it currently sits on my shelf, the beginning of her story in that she was discovered by Briar, but I shall simply chalk it up to working backwards through Evvy’s trilogy. 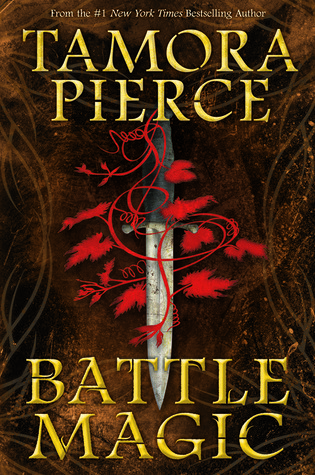 Now, at last, I have Battle Magic, the story of the war between Yanjing and Gyongxe that is so often referenced in Melting Stones. Upon my husband suggestion, a few days ago, I embarked upon a new show: BBC’s The Paradise. Based upon Emile Zola’s novel The Ladies’ Paradise, it follows a young woman named Denise Lovett who comes to the big city to work in her uncle’s drapery shop. Unfortunately, business is so poor that he cannot offer her a wage. The singular shops along Tollgate Street – the draper (dressmaker), milliner, haberdasher, cobbler – are falling into ruin because of The Paradise, a great new department store which has opened in Tollgate street and is attracting all the customers. Worried by the fact that her uncle cannot offer her a place, Denise is fortunate enough to spy a shop girl being evicted from the premises that very morning. She applies and is taken on as the newest shopgirl in Ladieswear at The Paradise. Denise Lovett proves more than equal to the task, even under the most imperious Miss Ashley, who rules over the department with an elegantly iron fist. Denise is talented and a visionary when it comes to selling clothing to upscale ladies, marketing, and getting the name of the Paradise into the ears of the populace. The most apt line for series 1, in my opinion, was this small statement: “I don’t want to marry Moray. I want to be him.” The passion for The Paradise has caught Denise as soon as the story begins. As we go, we meet the people who are the life and blood of The Paradise – Mr. John Moray, his partner Mr. Dudley, Pauline, Sam, Clara, Miss Audrey, Arthur, Mr. Jonas, and Mr. Lovett in his drapery shop across the street, along with Lord Glendenning (an upper class) and his grasping daughter Lady Katherine,with whom Mr. Moray is entangled from the first we see him. 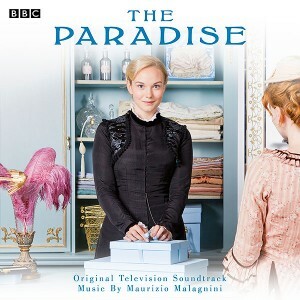 As with all of BBC’s period dramas, The Paradise is sumptuously costumed and gorgeously set. The realm of Ladieswear and the glittering counters of The Paradise draw even me, a woman who has grown up in the normalcy of the department store. The gowns, gloves, and hats call to the Victorian woman that inhabits my soul, and she rejoices. 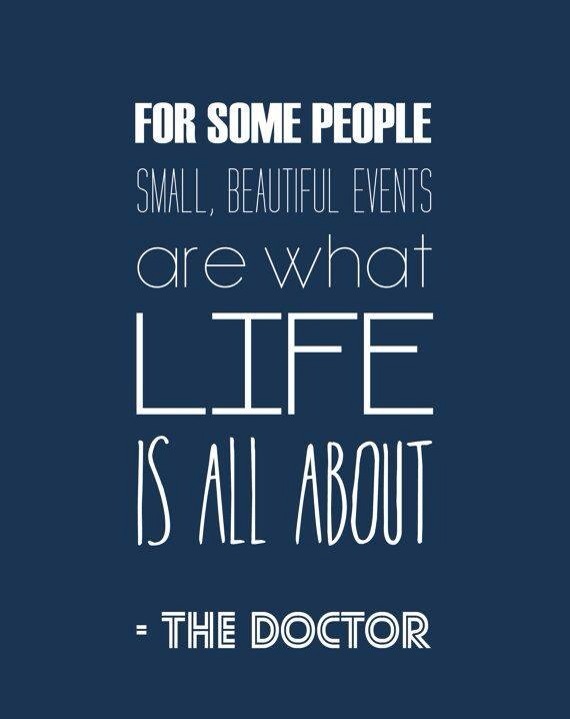 I am as of yet unsure how I feel about the end of series 1. It does end on a happy note, but with that sense that it is that burst of sunlight just before the storm clouds roll in. Series 2 releases in late April so we shall see if my gut holds true.